On Friday, April 27, 2018, three-time National Champion head coach Craig Doty was introduced as the new head men’s basketball coach at Emporia State University by athletic director Kent Weiser. Doty brings a 162-50 head coaching record including a 71-31 mark in conference play and an unprecedented 28-4 record in the post-season. Prior to his arrival in Emporia, Doty lead Rock Valley College and Graceland University to national prominence. In just two seasons at Graceland, Doty’s program had a 49-22 record and won the 2018 NAIA Division I National Championship in the school’s first trip to the national tournament at Kansas City’s historic Municipal Auditorium. Along the way Doty earned NAIA National Coach of the Year, HoopDirt.com NAIA National Coach of the Year, and the 2018 Don Meyer Award. Upon winning the 2018 national championship, Doty had led his teams to the National Championship game four out of the previous five seasons. Doty’s programs at Rock Valley College won NJCAA Division III National titles in 2014 and 2016. Doty’s 2015 squad came up just short finishing National Runner-up. The 2017-18 season at Graceland University was one for the record books. Graceland finished the season as NAIA Division I National Champions while shattering the single-season record for wins by going 29-10 overall. Graceland had a 19-2 record over their last 21 games which included steam-rolling their way through the Heart of America Conference tournament, winning four games by an average margin of 27.25 points per game. In the Conference Tournament Championship game, which was broadcast on ESPN3, Graceland defeated Peru State, a team who had beat them two times during the regular season, by 27 points in front of a home crowd of nearly 2,500 fans. Despite being picked to finish fifth in the conference in the preseason poll, Graceland finished with the national crown by winning five games over a six-day period in Kansas City, Missouri. In the National Championship game, Graceland would face and defeat LSU-Alexandria on a last second shot in overtime as LT Davis drove and kicked to Justin Harley for the game-winning three. The shot earned its way to a top play on SportsCenter and was circulated throughout the globe with tens of millions of views across the world. Deadspin, ESPN, CBSsports, and other publications showed the clip and wrote articles about it. The championship game had a modern-day NAIA record attendance of 6,377. The Craig Doty era of Graceland men’s basketball started out in record fashion in 2016-17 as Doty led the Yellowjackets to their first NAIA Division I national ranking in program history. When it was said and done, Doty’s first year also saw the program win 16 conference games, post a 20-win season, and earn their way to the conference semifinals of the Heart of America Tournament. Graceland was either nationally ranked or receiving votes in the NAIA Division I national poll from December 6, 2016 through February 14, 2017. Prior to GU, Doty spent four years as the head men’s basketball coach at Rock Valley College where he built a national powerhouse. In 2012, when Doty took over the program, Rock Valley was ranked last in Region IV preseason poll. Over the next four years, Doty would put Rock Valley College on the national map leading the Golden Eagles to four consecutive national tournaments including three straight national title games. Rock Valley was crowed National Champions in 2014 and in 2016, the first and second national championships in the 50-year program history. Doty compiled a 113-28 record (.801) at Rock Valley. Doty’s program shattered the school record for wins in 2013-14 posting a 30-5 record while re-breaking that record the next two seasons going 31-4 and 33-3, respectively. Doty led the Golden Eagles to the #1 ranking in the country for the first time in program history on October 27, 2014. RVC held on to the #1 ranking for the rest of Doty’s tenure at RVC which included 24 consecutive national polls over 729 consecutive days. In 2015-16, the Golden Eagles started off the season #1 in the national polls and ended the season as National Champions. En route to their National Title, RVC won their six post-season games by an average margin of victory of 21.3 points per game. For a third straight season, Rock Valley broke the single-season record for victories, posting a 33-3 record. Road wins for Rock Valley over NJCAA D1 national powerhouses Vincennes University (ranked #6 at the time) and Indian Hills Community College (ranked #7) were two of the biggest upset wins in NJCAA history. RVC won the Region IV tournament for the fourth consecutive season. Doty coached 1st team All-American and National Player of the Year LT Davis as well as 2nd team All-American big man Elijah Williams. In 2014-15, Doty’s Golden Eagles had a target on their back all season. As defending National Champions with a #1 national ranking and playing one of the toughest schedules in all of NJCAA (including playing 16 NJCAA D1/D2 opponents) RVC stepped up to the challenge. The Golden Eagles won the Region IV Championship, won the N4C Conference with a 13-1 conference record and went 13-3 vs. scholarship opponents while not losing to an NJCAA Division III opponent until the national championship game where they fell 67-64 to Richland College (Dallas, TX). In 2013-14, Doty’s second season at RVC and his first recruiting class at the school, he led the Golden Eagles to a 30-5 record and the NJCAA Division III National Championship. This was the Golden Eagles first national championship in program history. Along the way, RVC won their second consecutive Region IV Championship. In 2012-13, his first season on the sidelines at RVC, Doty wasted little time establishing the program on a national level. Picked to finish last in the Region IV pre-season poll, the Golden Eagles consistently improved throughout the season and stormed to a Region IV championship. RVC finished with a 19-16 record and ended the season receiving votes in the national polls. The Region IV championship was only the second in program history which clinched their second bid to the NJCAA national tournament appearance since the program started in 1965. RVC finished seventh at the NJCAA DIII national tournament which tied the 2000-01 team’s finish for best in school history at the time. Prior to his arrival at Rock Valley College, Doty served as an Assistant Men’s Basketball Coach at University of Sioux Falls (NCAA Division II) in South Dakota. 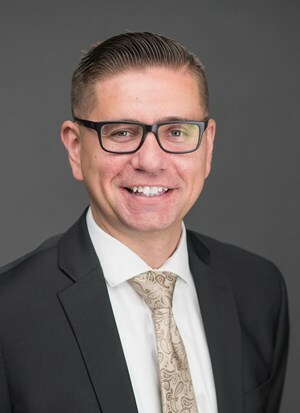 In 2011-12, Doty was an Assistant Men’s Basketball Coach and Recruiting Coordinator at Riverland Community College (NJCAA Division III) in Minnesota. Prior to the start of the 2010-11 season. Doty was hired as the full-time Assistant Men’s Basketball Coach/Recruiting Coordinator at Central Wyoming College (NJCAA Division I). Following the season, Doty served as Interim Head Men’s Basketball Coach for two months at CWC. Doty received nine commitments and recruited a roster that would go on to achieve a 20-11 record the following season. A native of Alcester, South Dakota, Doty came to Central Wyoming after serving as a volunteer Assistant Coach at his Alma Mater Morningside College (NAIA Division II) in Sioux City, Iowa. During Doty’s tenure with the program as a player and a coach, the Mustangs had a 56-37 record, made the Sweet Sixteen of the NAIA DII National Tournament, held a National Ranking of #10 in the country, and won a Great Plains Athletic Conference title. Doty is a graduate of Alcester-Hudson High School. In his senior season, Doty set the school record for points per game in a season with an average of 25.5. His junior season, Doty led his squad to a 17-4 record and a number four ranking in the state of South Dakota. Doty and his wife, Alexys, reside in Emporia with nine-year old son, Braylon. Doty graduated from Morningside College with a Bachelor’s Degree in English and a minor in Business Administration.